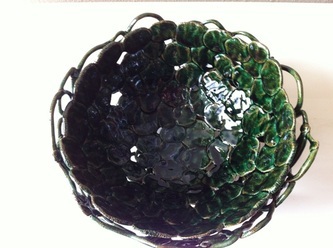 Raku ware or raku-yaki, is a Japanese pottery style usually used in creating tea bowls for the Japanese tea ceremony. 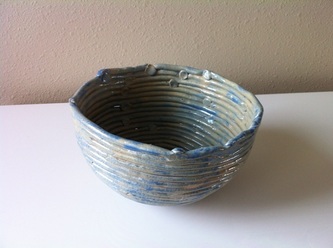 Raku ware are traditionally hand thrown and porous because of the low firing temperature. 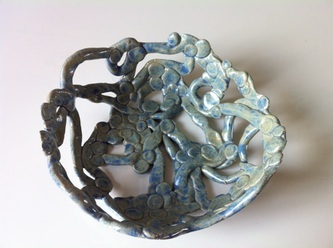 Very often the pieces are removed from the kiln while still hot and allowed to cool in a container filled with combustible material. Raku ware is closely integrated into Japanese culture and literature. 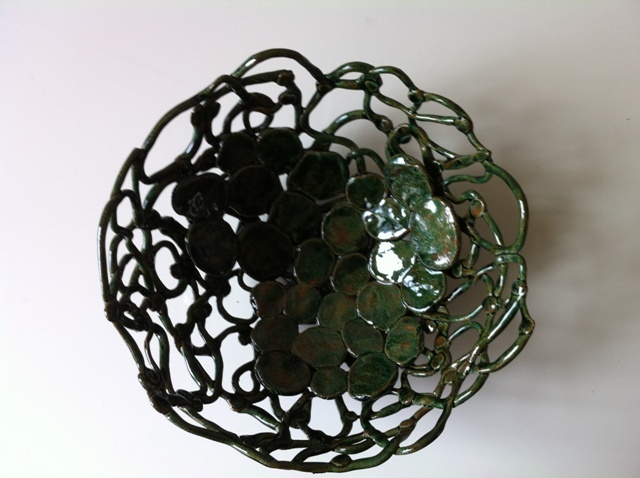 The word raku means “enjoyment, comfort, or ease” and was originally derived from the name of a palace. 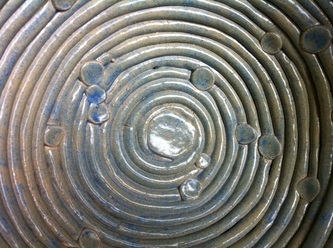 Raku was the first ceramic ware to use a seal mark that was presented to the recipient and is the first pottery style to focus on the connection between potter and patron. 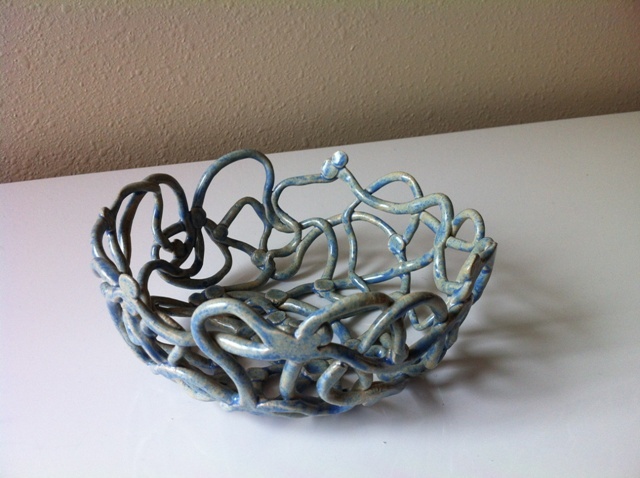 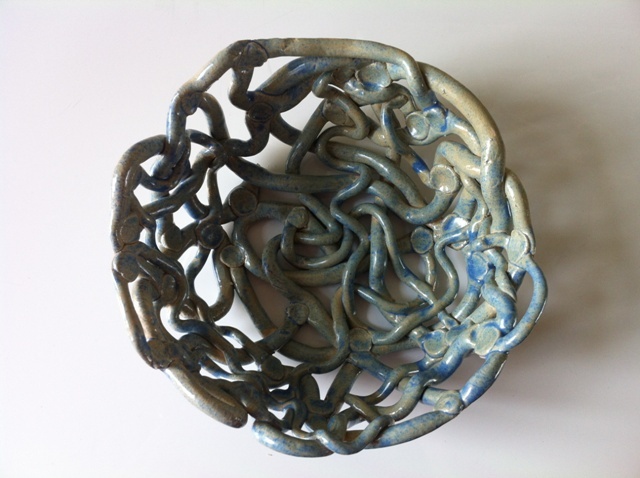 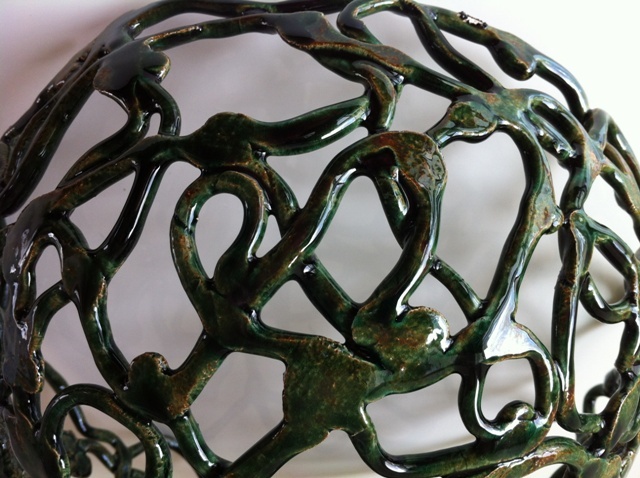 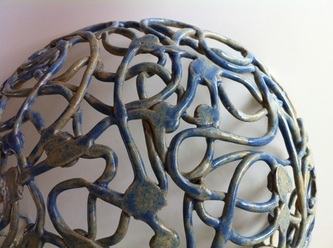 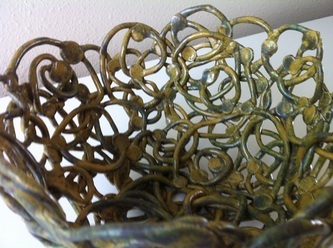 I chose raku clay because of its high tensile strength when unfired. 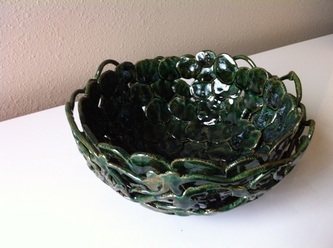 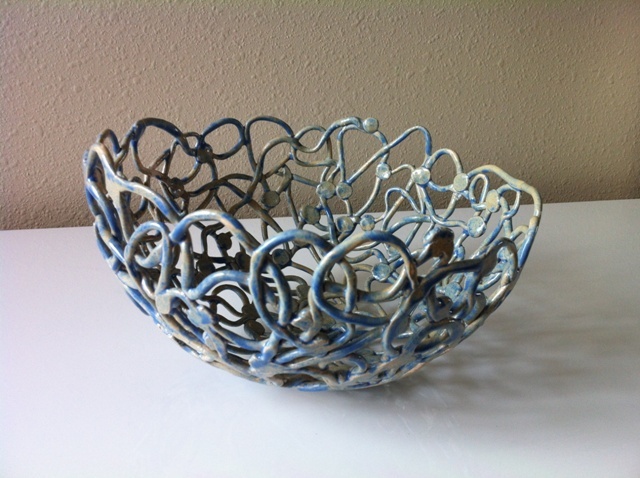 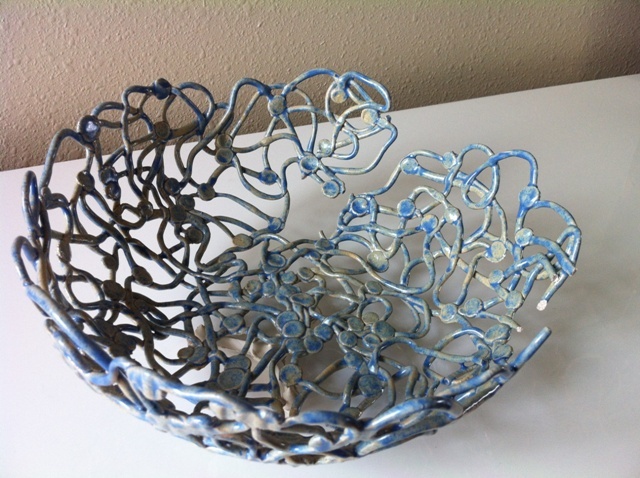 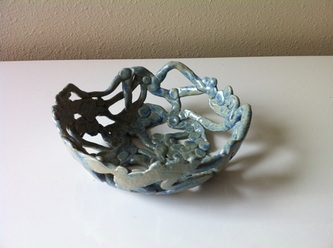 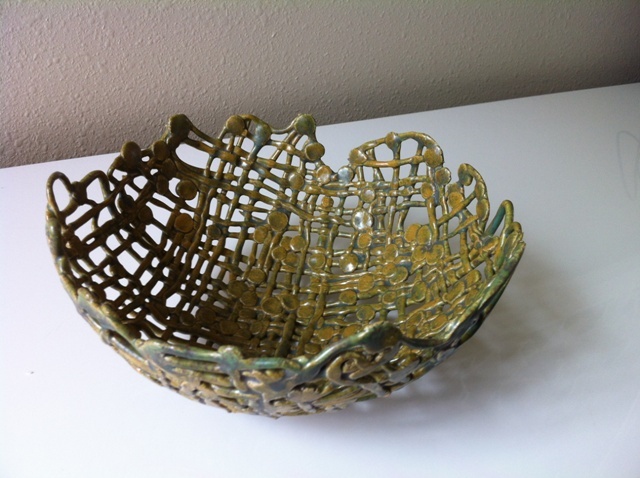 The airy pieces were extremely fragile while dying and even after the first firing. 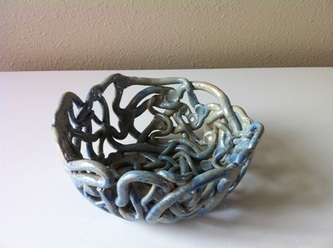 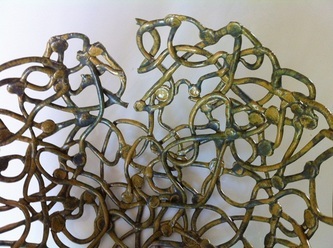 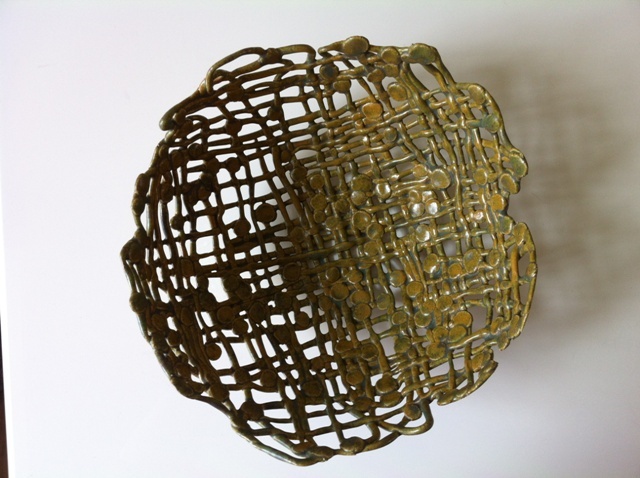 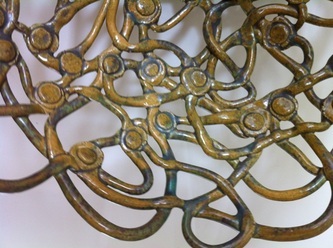 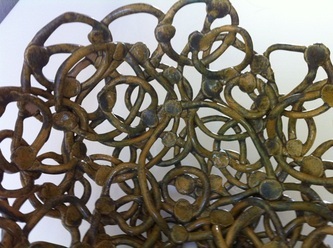 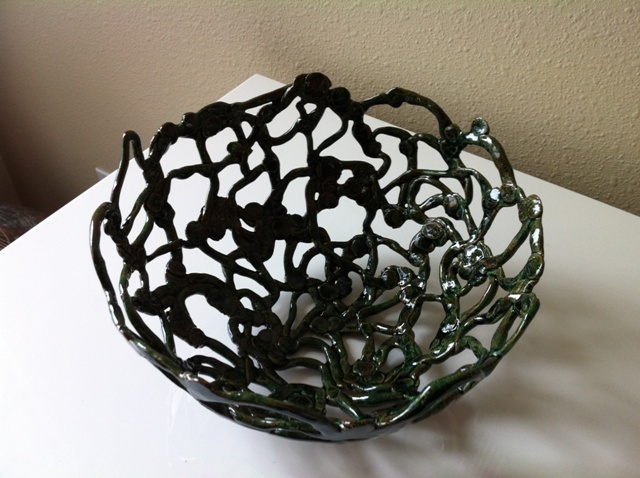 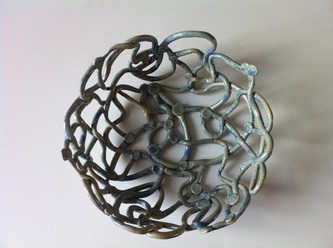 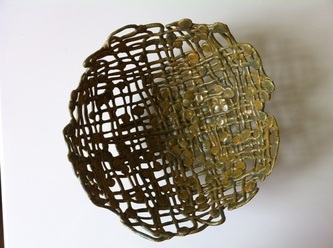 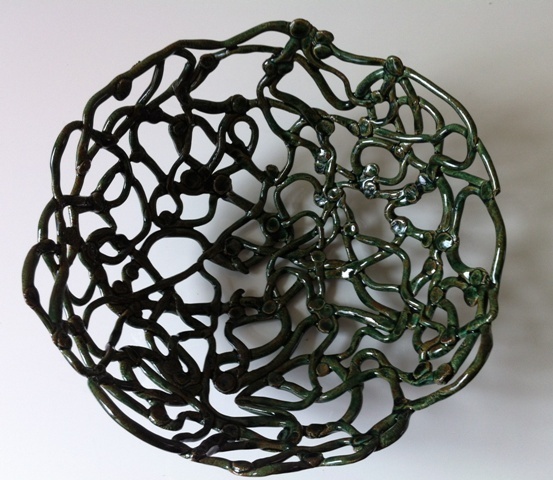 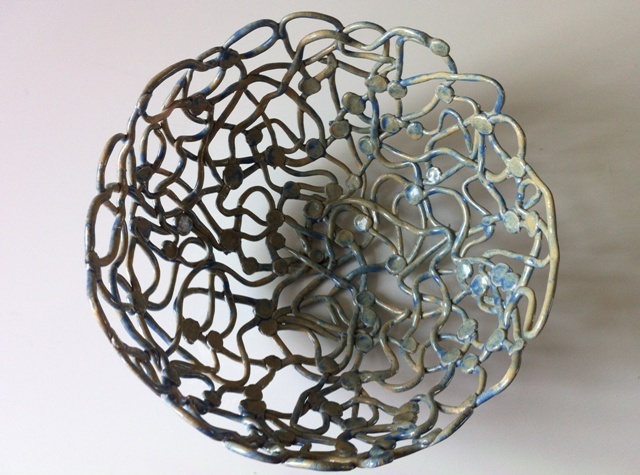 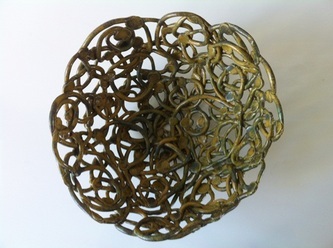 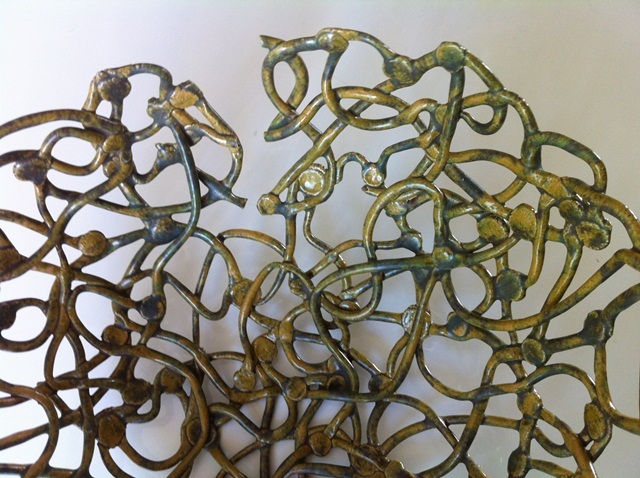 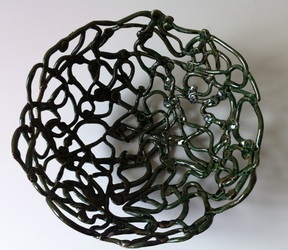 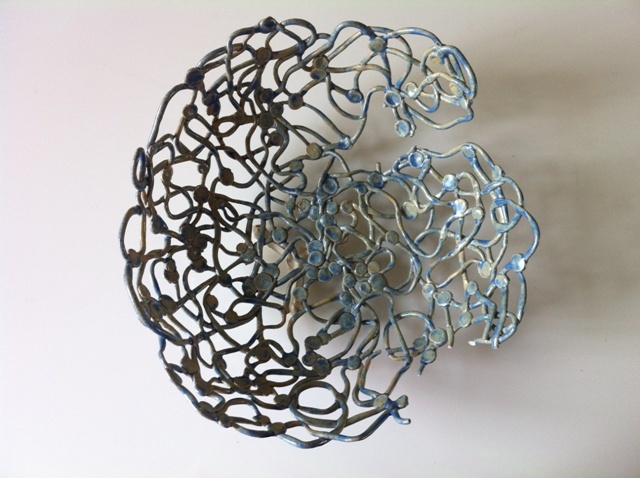 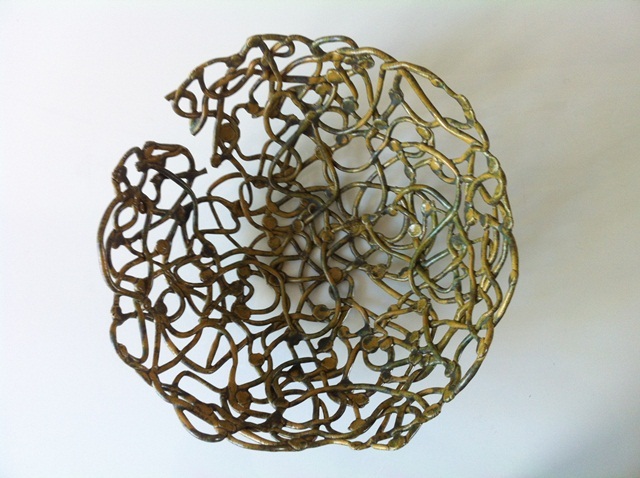 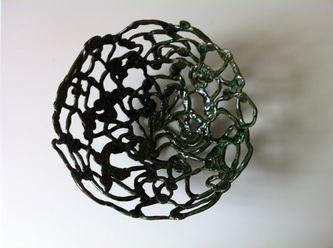 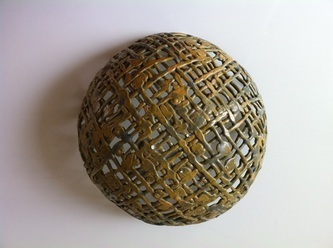 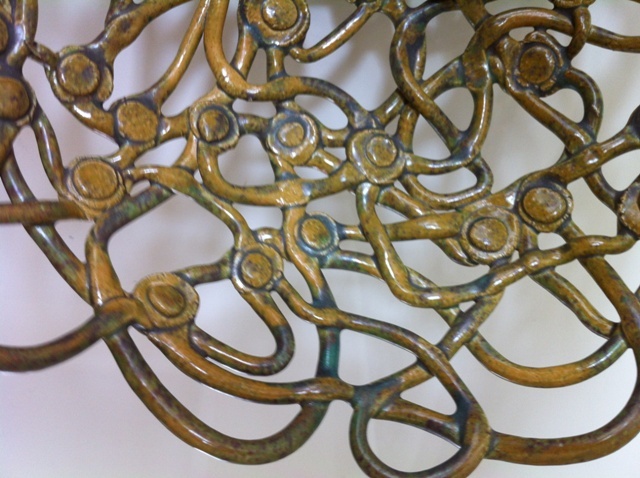 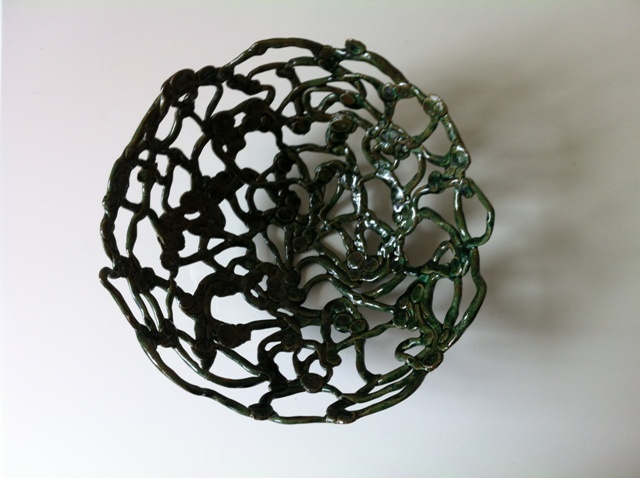 This work is titled "Vessels", referring both to movement on the surface and movement within the body. Gilda’s transcripts are glittering with moments of euphoria which she always tries to control--blissfully eating candy or using amphetamines to control weight. 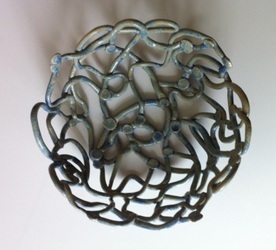 Her free movement is monitored by “stops” and pills. I began with playing with the notions of freedom and control, playing with control taking over. 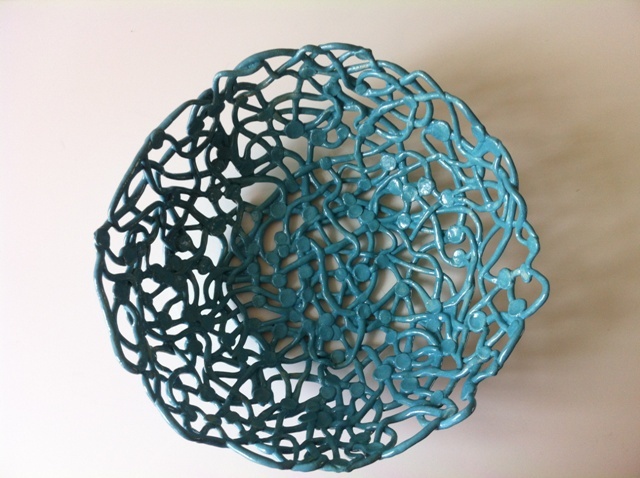 I played with manic-ness through the different thicknesses of the vessels. 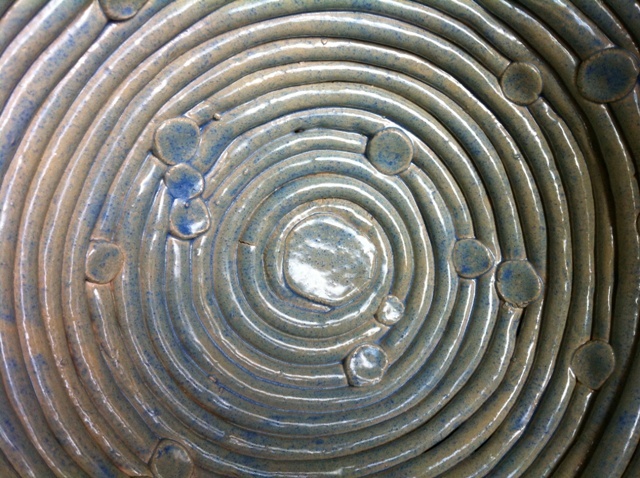 I also played with fissures. 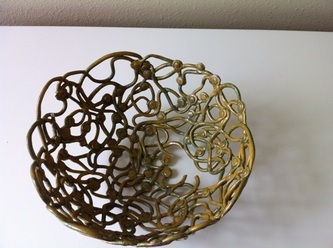 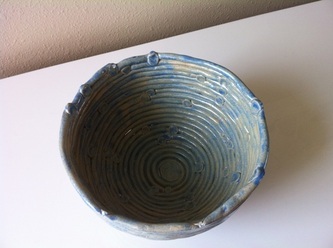 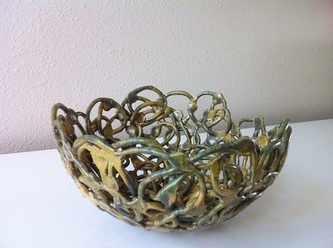 In one of the very fine vesseled pieces, I noticed that one section of the bowl had separated, not broken, but the stops had not held the pieces properly and the fissure not only pulled apart but the plane of connection was also separated. 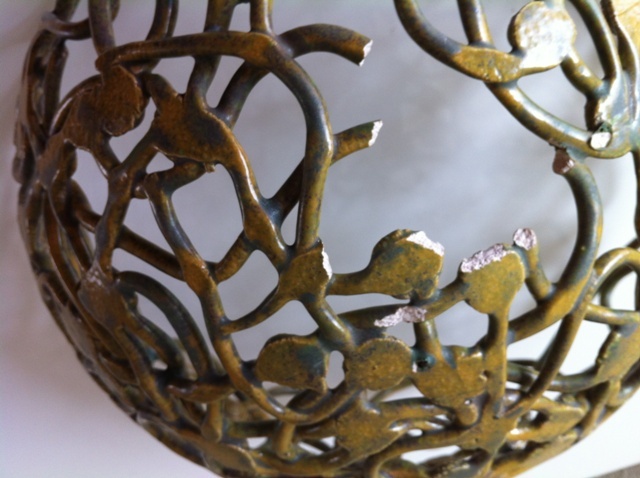 Art-making informed me that no matter how dedicated Glinda is to repairing her life, she can never bridge the fissures that are permanently there. Her new way of living must be not an attempt to go back to life before addiction, but to create a way to live with the consequences of addiction. 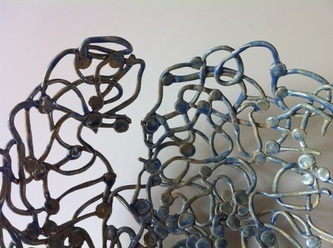 I was most excited about the layered vessels, multi-layered palimpsests of repetition, echoing Glinda’s recovery endurance.